My Mom passed away in 2010. 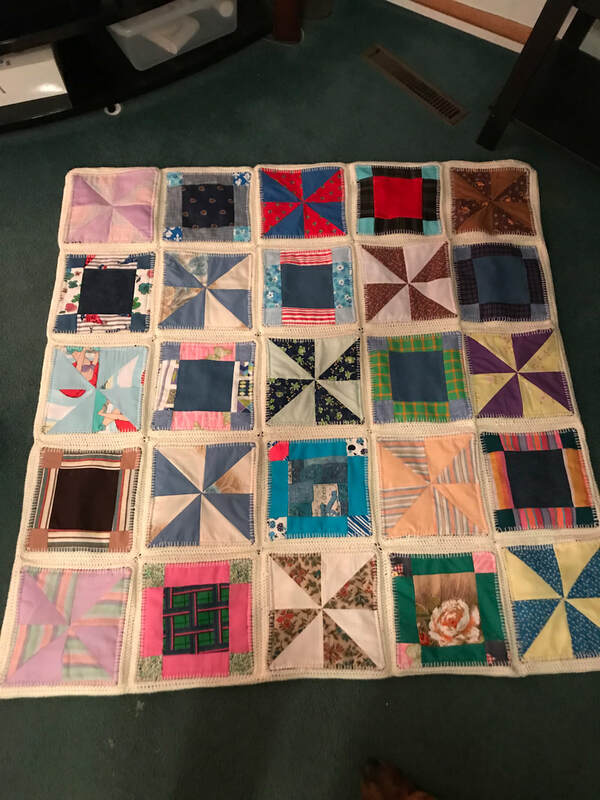 Margo inherited 100s, maybe 1000s of pre-cut quilting blocks, which Mom had cut with the intention of turning into her own works of art at some point in the future. 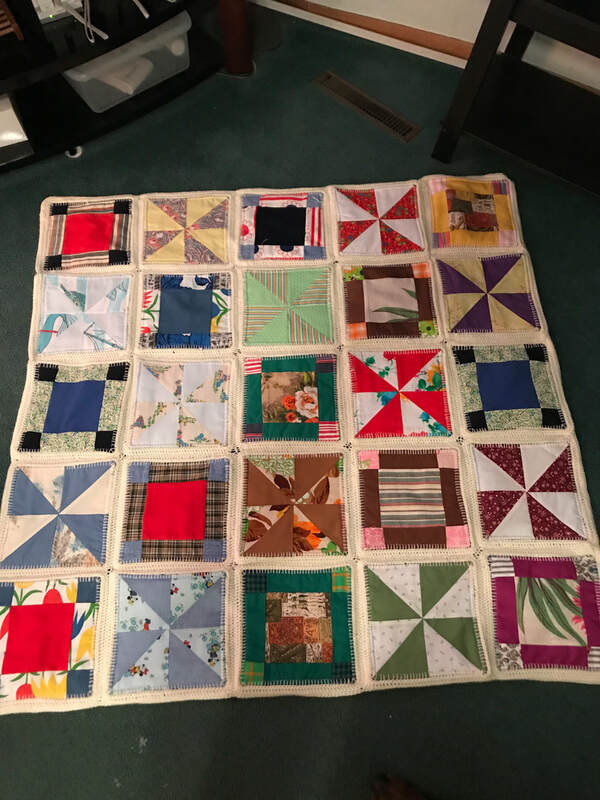 She had sewn the intricate spirals and rectangles into traditional quilting "fronts". 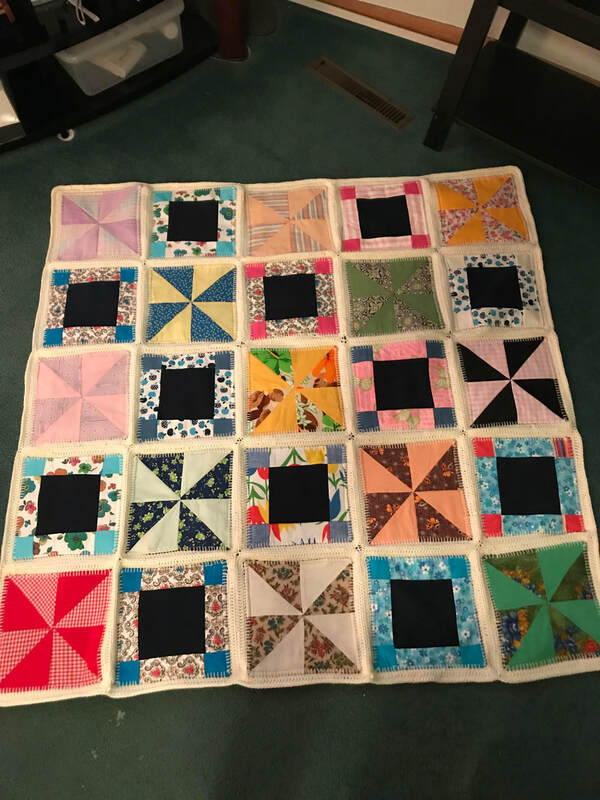 but had not sewn any of them front to back. Margo had an idea. 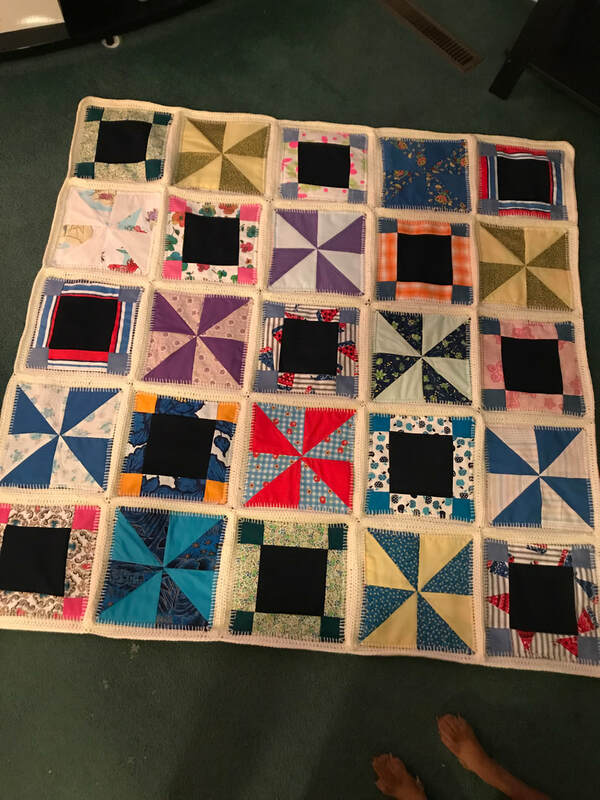 She completed the blocks, taking 100 of those completed squares, and sewing tops to backs. She then poked holes all around the blocks, so she could crochet them together, creating a yarn border. She then crocheted a border all around. These fold up very nicely along the crocheted seams, and ends up about a foot high, and the size of one block.